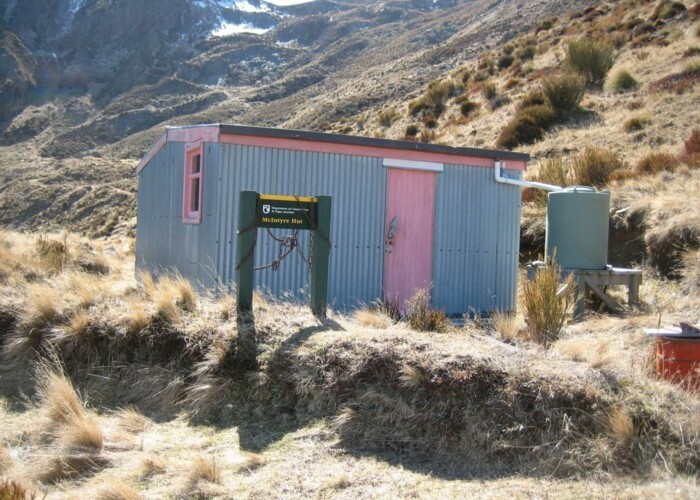 Corrugated iron miners' hut dating from the 1960s. McIntyre hut • By iangeorge. Licence: C.
Accessed via the Mt McIntosh Loop Track from the Glenorchy Queenstown Road 2km south of Glenorchy. Added 21 March 2014 by MatthewMatthew. No revisions. 99 views in the past year (8 per month).